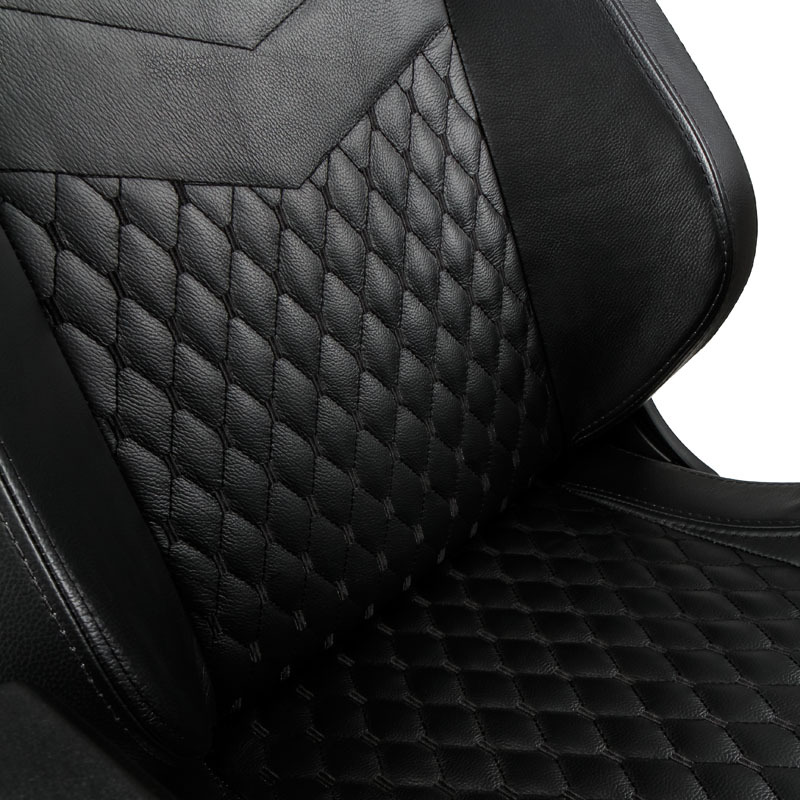 Overclockers UK stocks noblechairs, a new gaming chair brand featuring the world’s first with exquisite real leather covering! 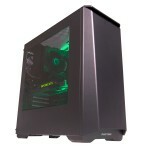 Overclockers UK are the number one online retailer for gaming chairs! 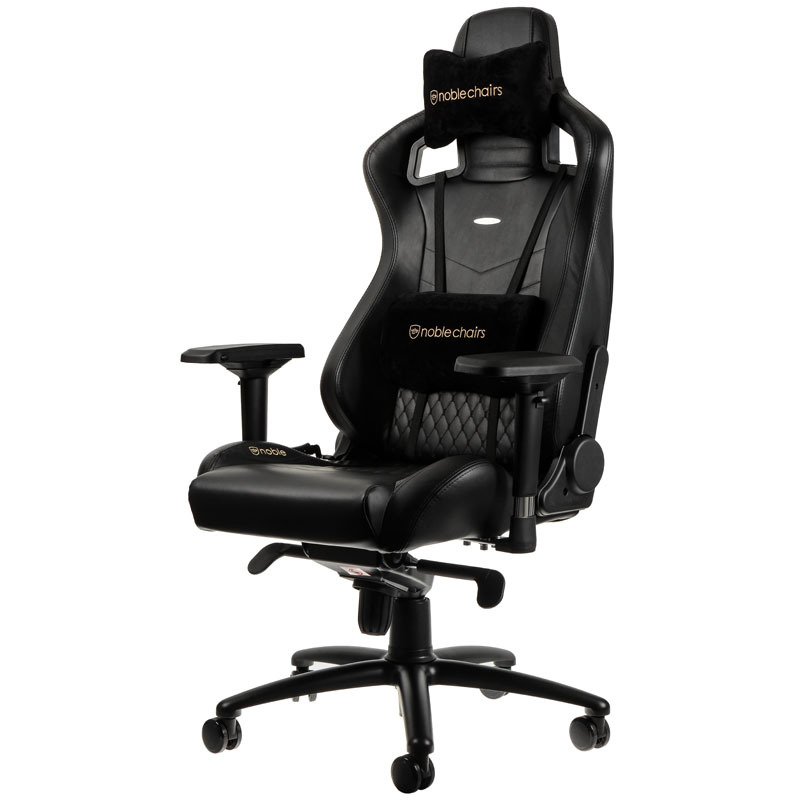 With a huge range already available they have decided to expand the range even further to include the highest quality of chairs on the market, noblechairs. 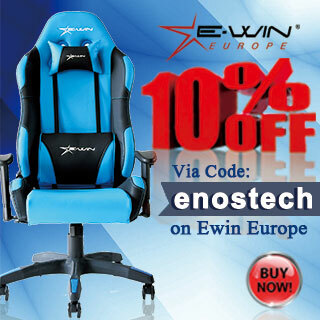 noblechairs presents itself to demanding gamers, enthusiasts, and gaming professionals alike by debuting its remarkable EPIC Series of innovative highclass gaming chairs solely made of exclusive premium materials. 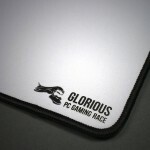 With a classy yet subtle design, created by a German design team to ensure a timeless look without garish colours. 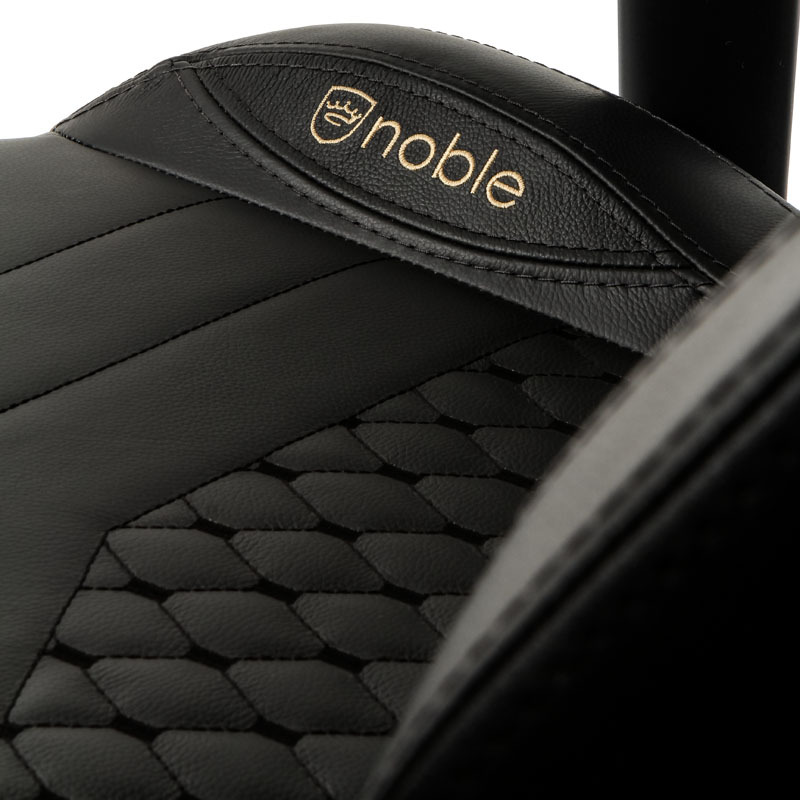 The signature appearance of all of the majestic noblechairs is instantly reminiscent of luxury class cars and belongs to the brand’s most memorable trademarks. 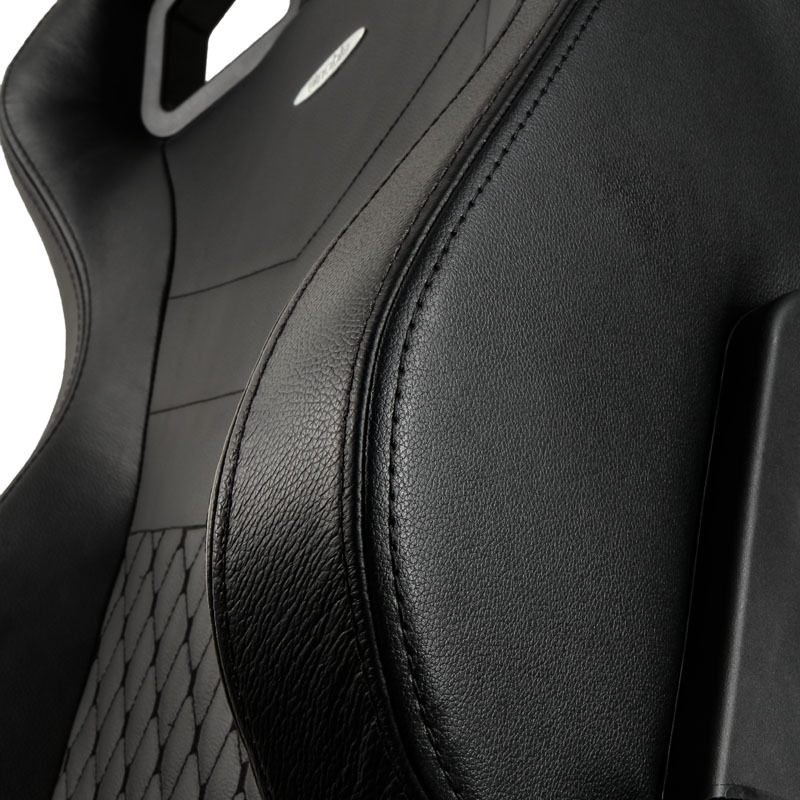 Furthermore, noblechairs only harness high-precision manufacturing processes for production to those utilised for premium car interiors and performed by reliable automated industrial robots which warrant an invariably immaculate build quality ever close to sheer perfection. 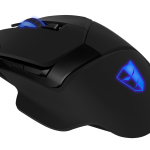 The most striking topic about the new EPIC series are the noblechairs EPIC real leather gaming chairs swathed in a high-quality genuine leather cover never seen before on a gamer seat. 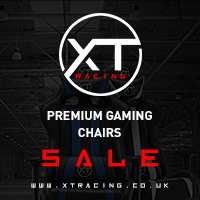 These special noble series come in a black-white-red or an all-black version and are a true delectation for splendour enthusiasts who desire for more than just a mere gaming chair. Genuine leather with its intriguing surface texture is both exceedingly durable and supple. It is also easy to clean and possesses superior breathability, which simply renders it the very best raw material available for seating furniture coverings on the planet. The real leather chairs are complemented by otherwise identical black-red, black-gold, blackblue and all-black versions fully vested in an extra thick 100% vegan polyurethane (PU) faux leather cover which is perforated in the contact zones for increased breathability. PU offers similar characteristics as genuine leather and due to its outstanding material properties, it has nowadays penetrated all areas of human life and can by default be found in top-of-the-range premium cars of all renowned manufacturers. 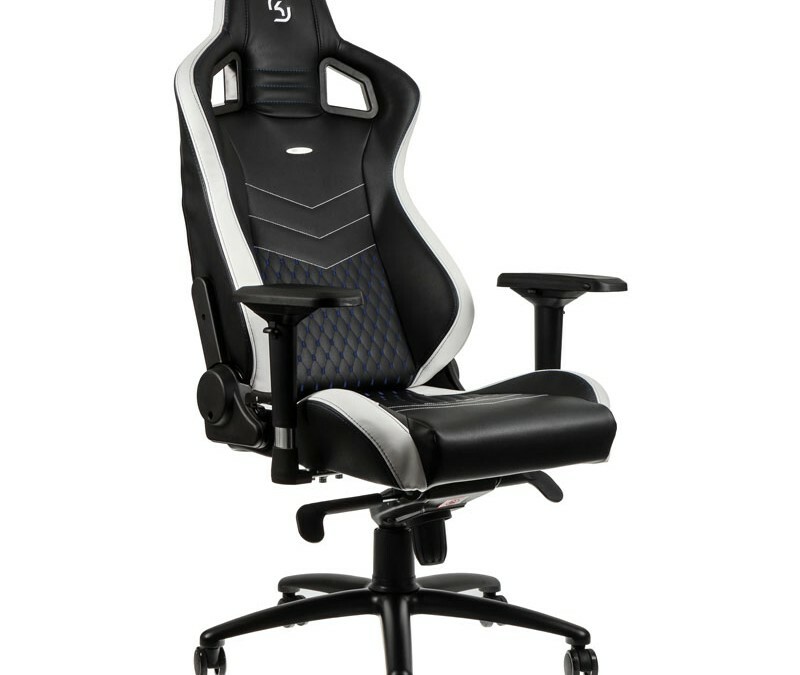 A unique custom variant of these PU imitation leather chairs especially made for eSports fans is our stunning SK Gaming Edition in blackwhite-blue, which is graced by the famous team’s own branding. All noblechairs’ seating area is embroidered with a diamond pattern stitching, while contrastive coloured seams along with a patch segment with logo embroidery create beautiful counterpoints to the chairs’ main colour. In addition, a subtly debossed logo that crests the headrest is accompanied by an elliptical aluminium emblem with relief lettering which adorns the backrest. 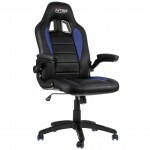 Thanks to such choice vestments and fine design details, these most brilliant specimen of swivel chairs reign supreme amongst the upper echelons of the entire gaming chair market and cater to all connoisseurs of aesthetic design and precious materials. 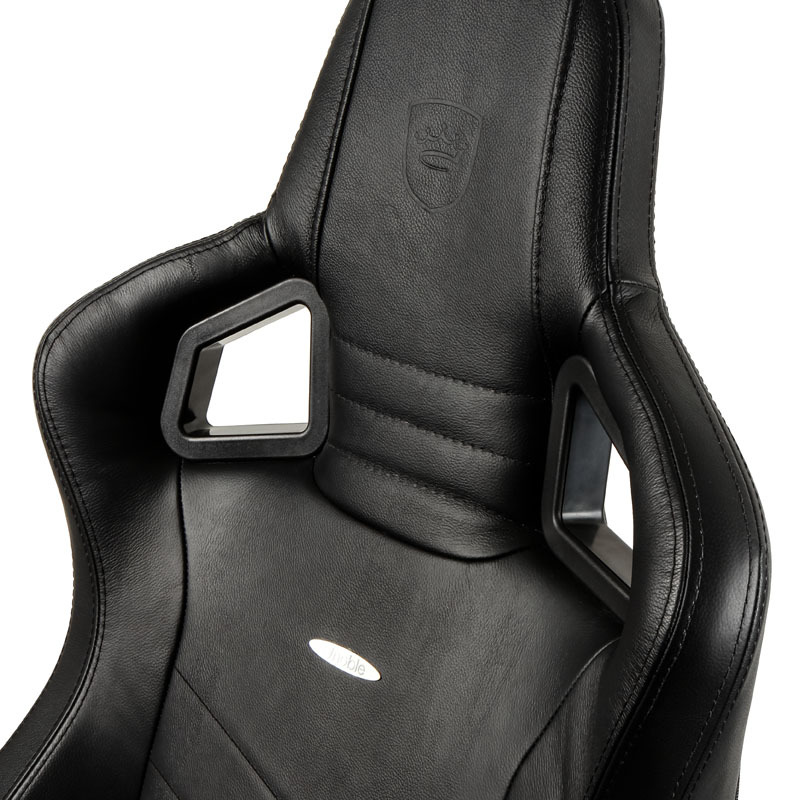 The dimensionally stable high-class upholstery of the noblechairs gaming chairs relies exclusively on freshly moulded cold foam with 55% density straight from the factory instead of recycled waste scraps used in many lesser, competing products. 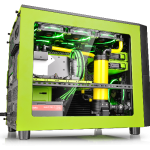 Its open-cell cold foam structure delivers optimal breathability, which allows for a pleasant climate regulation and brings along highest comfort as well as increased robustness and longevity. 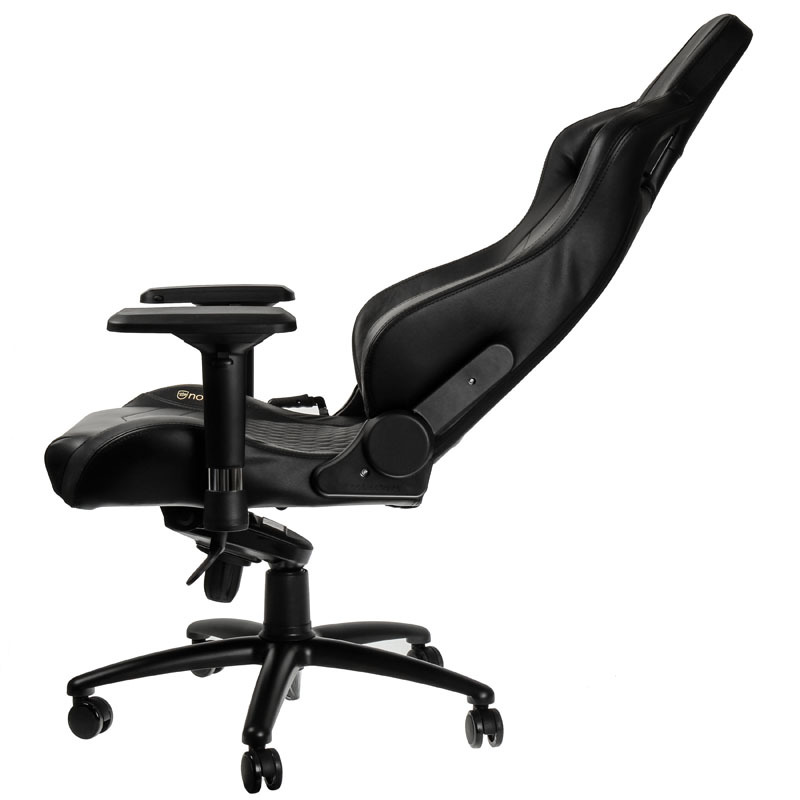 The ergonomic office chairs’ impressive list of features further encompasses softly cushioned 4D armrests made of PU, 360-degree swivel rotation, flexibly adjustable seat height via a safety class 4 gas lift along with an advanced rocking mechanism, which allows for rocking the chairs up to 14 degrees. 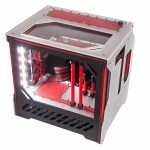 The tilt positions can be locked and the tilt tension can be dynamically adjusted. Also the angle between backrest and seating area can be statically adjusted through a side lever. 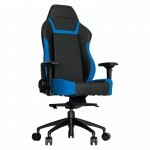 Therefore, each noblechairs gaming chair offers sovereign ergonomics with flexible adjustability. Thanks to a sturdy steel frame mounted on top of a durable five-star-base made of pure aluminium, the chairs can support a maximum weight of up to 180 kg. Five smoothly running 60 mm casters with nylon core and PU coating are attached to the base and equally suited for soft and hard floors. 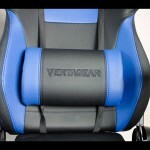 To adequately support the neck area and lumbar region, two removable pillows that allow for ultimate relaxation are included with every noblechairs gamer seat. 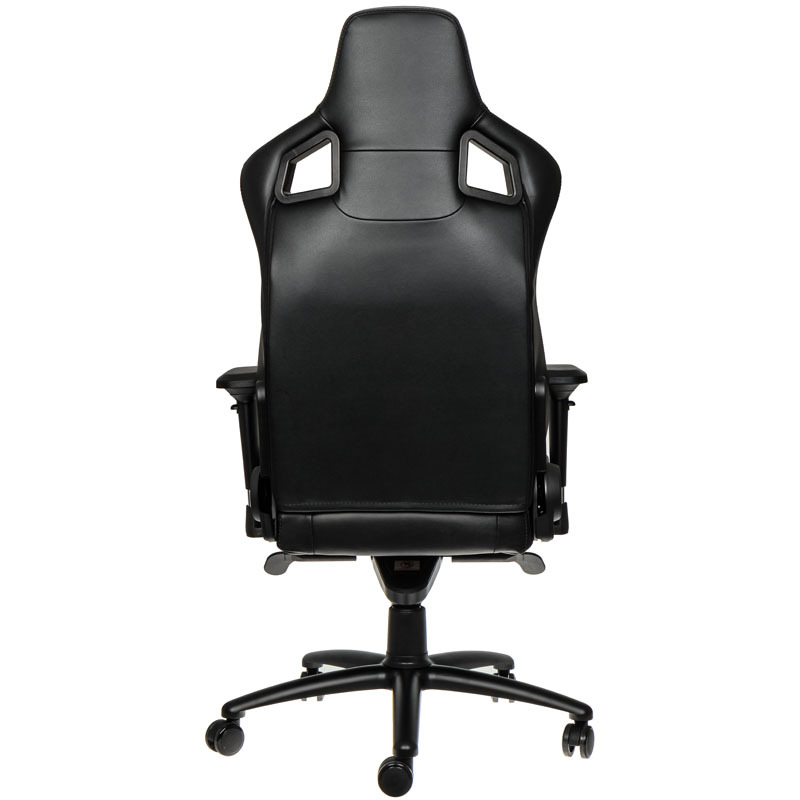 All noblechairs products abide by the UK Fire Safety Regulations for Furniture and Furnishings (BS 5852) and therefore feature a fire-retardant layer that has been applied to the surface material to minimise fire hazards.